Velvet, trembling voice of duduk today accompanies Hollywood movies. Serious composers write music for duduk. 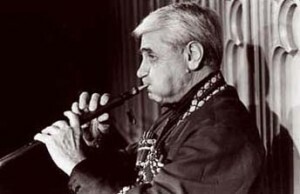 It is all the merit of famous Armenian duduk player Jivan Gasparyan. He lives in Yerevan and travels around the world with concerts. Thanks to him, the extinguished interest to duduk erupted with renewed vigor in the country. Every Armenian boy dreams to be like Uncle Jivan. When was duduk created – as many specialists, so many opinions. Some argue that in the VIII century BC, others that 700 years later, during the reign of King Tigran II. The quiet sound of this instrument accompanies almost every Armenian table – no matter if the people have gathered for gay or sad occasion. Recently, we increasingly hear duduk in the film, radio and television. The first teacher of Jivan Gasparyan was famous taper-duduk player Margar Margaryan. The whole Yerevan knew him – Margaryan accompanied silent movies with the duduk play, marching in the main cinemas of the city. Jivan learned to play by hearing, without any musical notes. The talented boy was noticed. In 1947, together with a large group of Armenian artists, he traveled to Moscow and played in Bolshoy Theatre in presence of Stalin himself. The leader presented the duduk player watches, which, Jivan had to sell later – it was hard times. The young virtuoso was taken in an ensemble of folk instruments, with which the future national artist has traveled the entire Union. At the beginning of reconstruction, Gasparyan was in London, where he met with Peter Gabriel, a famous musician and producer. Cooperation with him has been extremely fruitful: Gasparyan’s duduk sounded in the best concert halls of the world. Jivan worked with Layanel Richie, Andreas Follenvayder, recorded music for 18 films, including the famous “Gladiator.” Last year, Uncle Jivan, as the musician is called in Armenia, was awarded the prestigious European award Womex for his contribution in popularizing ethnic music. Gasparyan is 75; he has been in many countries. He is a frequent and always welcome guest also in Russia. Jivan Gasparyan made an order to Hovsep Grigoryan of an instrument, never made before – bass duduk – especially for the orchestra. It is longer than the usual one, has valves and sounds an octave lower. Hovsep, “Previously, I made everything. But now I cannot. I cannot work on the machine. My head swims, besides there is no breath.” Now Arthur works the machine. Grandpa Hovsep deals only with mouthpieces. The air, passing through the mouthpiece, forces the two connected reed plates to fluctuate. It is them that produce a velvet, shimmering sound that distinguishes this instrument from all others. It is already 20 years there is a class of duduk-players in Yerevan Conservatory. Associate Professor Gevorg Dabaghyan himself graduated it sometime. Dabaghyan is known in Armenia, perhaps, not less than Jivan Gasparyan. Gevorg recorded several CDs and the soundtrack of Atom Egoyan’s film “Ararat”. The whole republic watched that film. The film tells about the genocide, which Armenian people survived in 1915. Together with the teacher, students give concerts, make records on the radio, appear on local television – in short, promote favorite instrument wherever possible. They knew about our visit in advance, so they had prepared a small concert, which was a complete surprise for us. Artem Martirosyan is going to continue his musical education. He dreams to become as famous as Jivan Gasparyan. Artem is the winner of two national contests. The school administration released the talented student of the school fees. A group of young duduk players prepares teacher and composer Garnik Baghdasaryan. He received his musical education at the Leningrad Conservatory class of clarnet. Besides the duduk, his students learn to play the zurna, bagpipe, flute. Even with a diploma of the Conservatory, is hard for the musician to find a good place. Work at weddings and funerals do not attract the young professionals much. 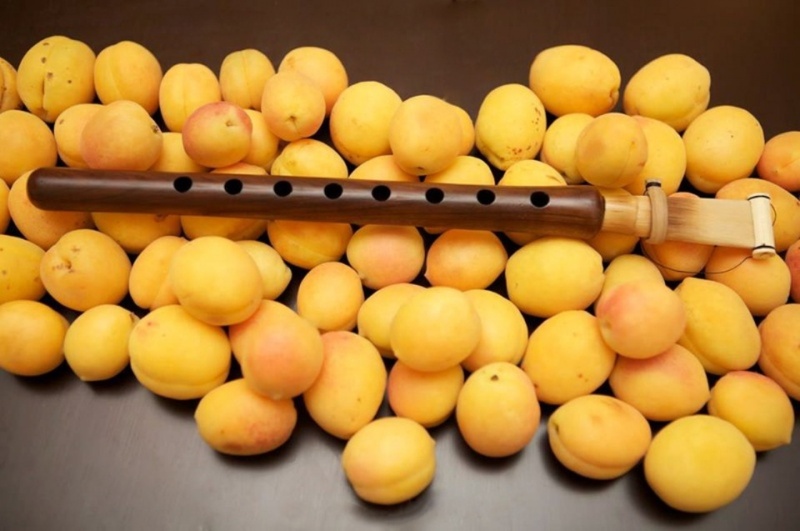 But now, when thanks to Jivan Gasparyan, duduk has become popular in the world, new opportunities have opened in front of the duduk-players. Soon close to the house of Uncle Jivan there will be a specialized school in his name on learning to play the duduk. No doubt that all the places in it will be busy. Armenians love duduk.